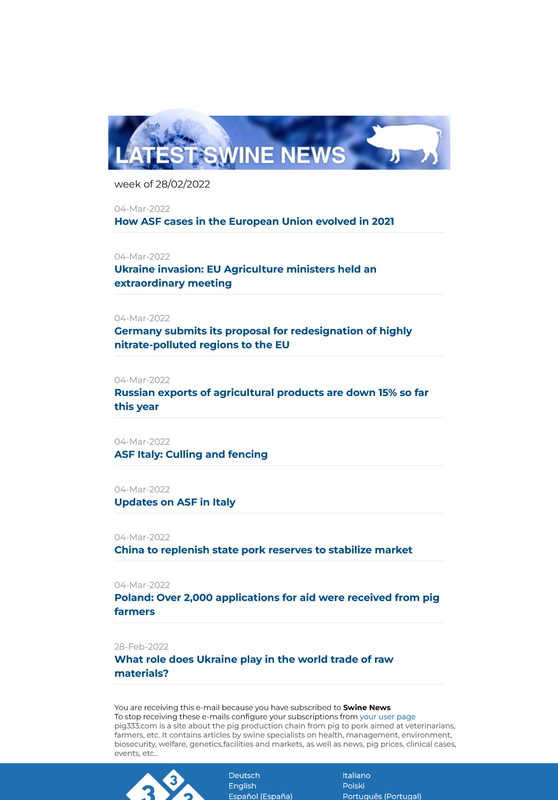 The Irish veterinary authorities have informed the World Organisation for Animal Health (OIE) about an outbreak of novel a/H1N1 influenza virus in pigs. The pigs were being monitored as high-risk following confirmation of the virus in a worker on 22 September. The worker tended the pigs from 15-18 September whilst sick. Clinical signs commenced in the pigs on 25 September with sows off feed and laboured breathing. Movements of pigs off farm have been stopped voluntarily since 18 September in accordance with a Code of Practice previously agreed between Department of Agriculture and stakeholders.